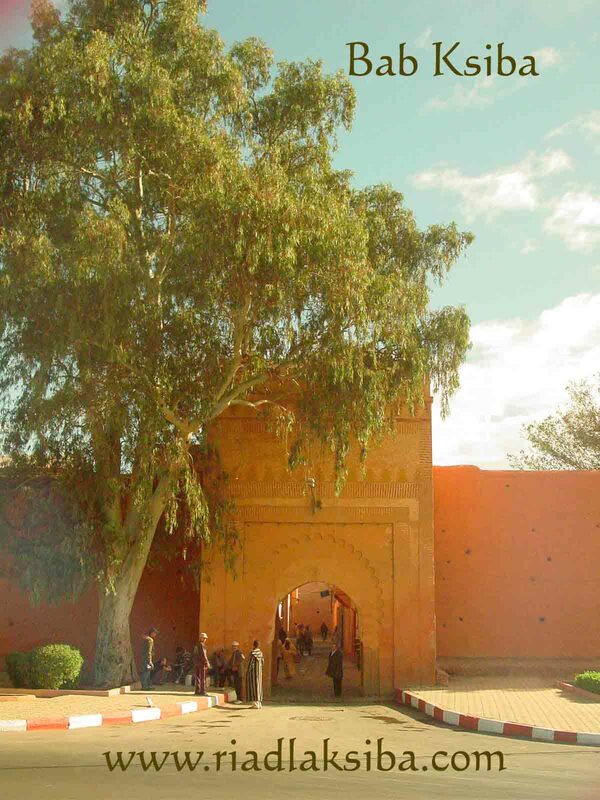 Bab Ksiba is a pretty little entrance into the southern end of the Kasbah. 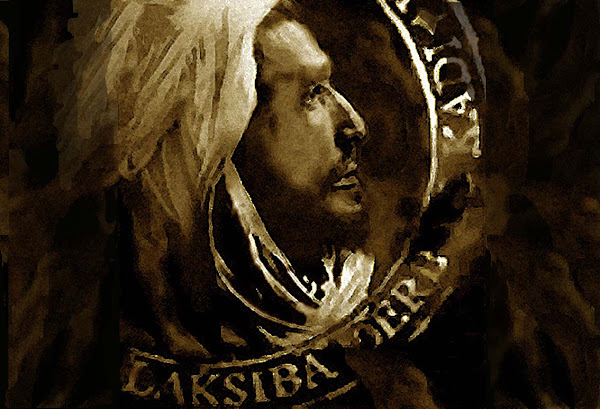 Bab Kasiba ( pronounced Bab Lak-siba ) offers the wary traveller advantages. 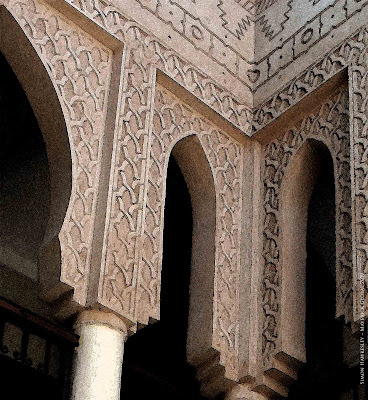 Firstly… every Taxi driver in Marrakech knows where it is. 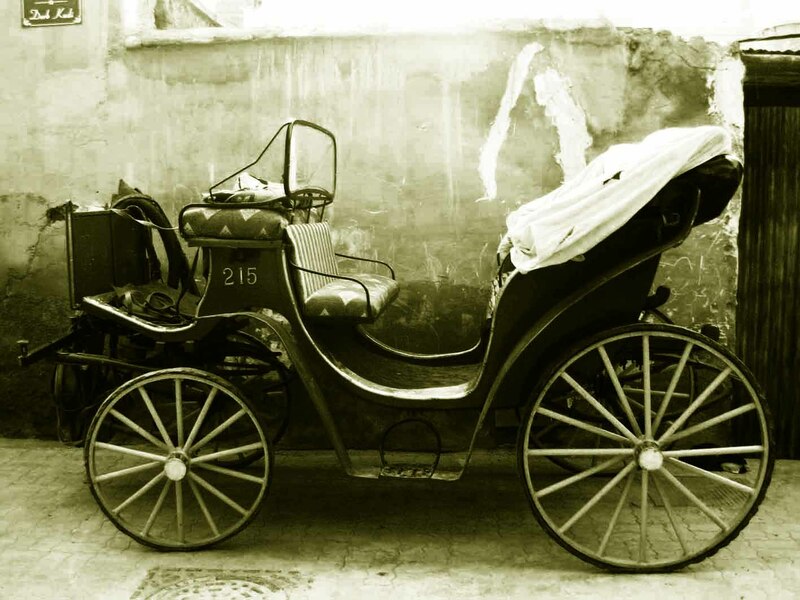 If you have no easy form of communication, French, Berber or otherwise, by simply sitting in a taxi and saying “Bab Lak-siba” you can be assured of a correct destination. Secondly… Apart from a “cigarette seller” lazing under the shade, provided by a giant Eucalyptus Tree, there are no hawkers. Unless, that is, you want to purchase a single cigarette or make the vendors day, and go the whole hog, buying a packet..
Fiona elected to test her theory with and achieved instant success. My wife stayed in the company of the cigarette seller and sent me off to find a local chap, who had not seen Fiona before, to see if he could locate her and guide her back to the Riad where we were staying. This time…. I wasted a while before finding and instructing a local chap, as this time it was Fiona’s solution and not mine. I wanted, at least, a Pyrrhic Victory ! Sadly she returned with the local chap within minutes of my instruction and continues to bask in her glory. 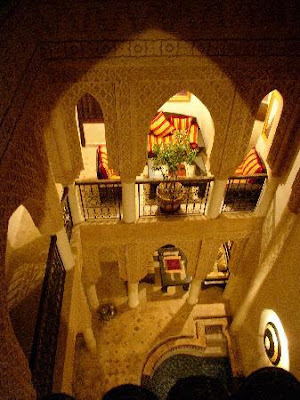 The mission was now to find a suitable Riad as close to the pretty Bab Ksiba as we could. We both agreed that buying a Riad actually adjacent to the Rue Bab Ksiba would be a mistake. It connects to the Rue de la Kasbah’s southern end. As such… Rue Bab Ksiba gets it’s share of arterial traffic and we wanted to create a quiet sanctuary. To promenade through the Bab Ksiba entrance the very first Derb you meet, on the right, would be our first, and final, area of exploration. This first right hand turning leads us to Derb Kadi (Street of the Judge). A charming tiny cul-de-sac, which circumnavigates an old stable and a mausoleum, where I assume the Judge is rested. 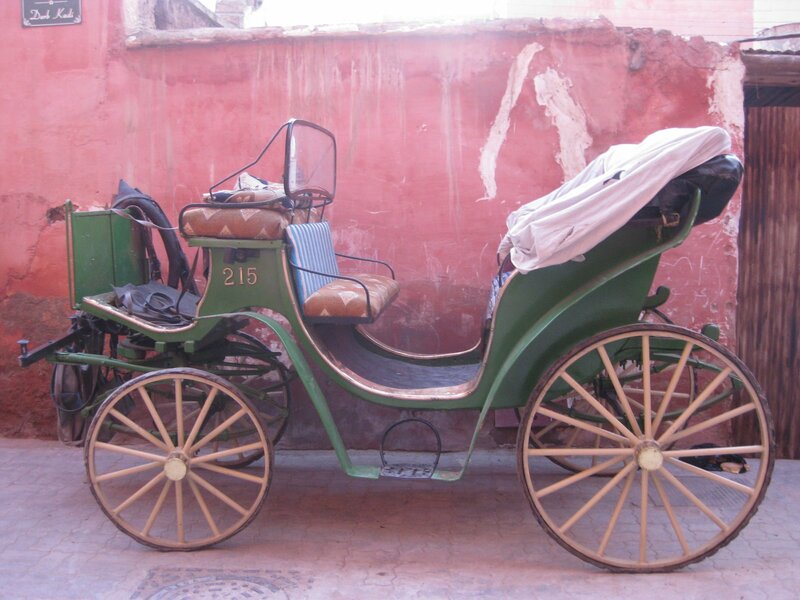 The Stable is home to Green Calesh No.215 (horsedrawn carriage) which visits the D’ Jemaa el Fna (main square in Marrakech) to attract tourists into sightseeing the city using bygone era transport. A small wall hides the base of an impressive Palm Tree at the end of this cul-de-sac and apart from a group of 5-year-old boys re-enacting a “Ronaldo penalty” against the mausoleum wall with a half inflated football the street scene, and it’s silence, in comparison to the Rue de la Kasbah was measurable.